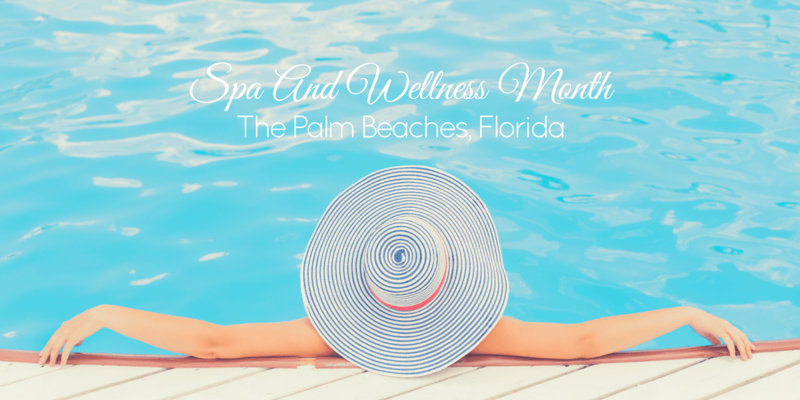 Spa Month in Palm Beach County, Florida offers exclusive, limited-time prices throughout the month of October on spa therapies, wellness experiences, and even healthy treats! The Palm Beaches is known world-wide for being a resort destination and for having award-winning spas. The month of October is the perfect time to get to know the best spas in the area, for a fraction of the cost. There are over 25 different offers available (www.Spatober.com). In addition, in support of Breast Cancer Awareness Month, all participating businesses will donate a portion of their proceeds to the Palm Beach County chapter of the American Cancer Society. How awesome is that? We spent time at The Spa at PGA National, one of the spas offering spectacular deals during the month of October. With a European influence, this spa has multiple treatments available for its guests, including facials, massages, and salon services. They even have a few mineral pools! After checking in, we were given a robe and slippers and shown to the locker room. We loved the slippers! They were the good kind, not some flimsy ones that you can barely walk in. It’s the little details like this that already had us falling in love with The Spa. While you are waiting for your therapist, you can hang out in one of the lounge areas. There are also plenty of little snacks to nibble on and lots of flavored water. In Bamboo massage, the massages therapist uses warmed hollow bamboo canes as a tool that allows more pressure to be easily applied. The bamboo cane replaces the therapist’s hands, allowing the therapist deep, firm massage, percussion type movements, as well as rolling movements on the main body parts and muscles. The muscle is kneaded with the cane, to release tension and ease knots. The action also stimulates the flow of blood and makes skin suppler. The massage brings an extreme sensation of relaxation and well-being. Both treatments left us feeling wonderful and relaxed. Next it was time to take a soak in The Spa’s mineral pools. Everyone at the spa has access to the resort’s Waters of the World pools. The mineral pools were inspired by two very famous bodies of water: the Dead Sea in Israel and the Salies de Béarn in France. Both pools are believed to be healing and therapeutic. We really enjoyed our time at The Spa at PGA National and easily could have spent a few more hours lounging poolside. So if you would like to spend some time there, we suggest taking advantage of the great Spatober deals that go on during the month of October in The Palm Beaches. It’s a great way to pamper yourself and to escape from the hustle and bustle of every day life. The dead sea pool sounds awesome! Is it easier to float in it? I’m actually a little jealous you got to enjoy the spa so much — I’ll have to find something similar closer to home, I think! I just had the best spa experience in Naples, Florida. I tried their vino facial and instantly after the session I saw my skin in its best state. They said they used products with resveratrol, I think that ingredient did wonders to my skin. They have wonderful customer service too. If you’re in Naples, you should totally visit Divine Spa.